Sailor is an incredibly resilient and determined two-and-a-half-year-old who challenges her limits and reaches for a new height every day. Sailor has been diagnosed with Caudal Regression Syndrome and was born with multiple congenital anomalies. In spite of her many hospitalizations and physical challenges, she has made significant gains in her gross motor development over the past year. Sailor is supported by a loving, active family and dedicated therapists at the Centre. Her team never has to set goals for Sailor; Sailor sets them for her team. Her determination and resilience demand her therapists to rise to the challenges that she identified. She has been in a Bumbo on a Roomba before her wheelchair is ready; she has climbed up lawn chair cushions to get to her “big girl bed”. She is in the pool, on the beach, on the surfboard (at her request), riding a bike, and helping out in the garden. 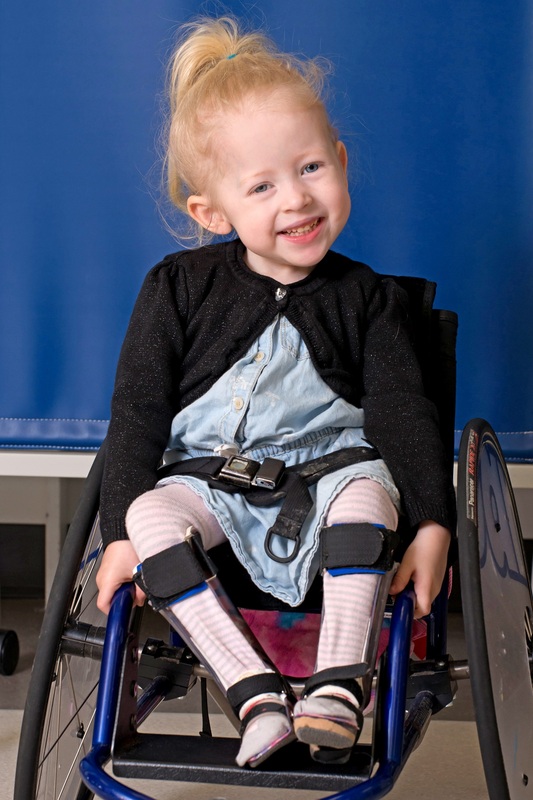 Sailor is always one step ahead, pushing her therapists and her parents to keep up. As her parents have said, “Sailor is not disabled, she has a disability but she is not defined by her limitations.” Sailor is truly a born hero; she will challenge you to rethink what is impossible and will show you what is possible.